MILLSBORO, DE – Crate 602 Sportsman teams, you’re getting a raise. Management of the Bob Hilbert Sportswear Short Track Super Series (STSS) Fueled By Sunoco announced an increased purse structure for 2019 Crate 602 Sportsman events. All series races – in both the North and South Regions – will pay $1,500 to win. In addition to the victor receiving $1,500 at all series events, second-place will now take home a boosted $700. Once again in ’19, the Crate 602 Sportsman division will compete for North and South Region championships worth $1,000 each. Drivers placing inside the top-10 with perfect attendance in their region will share in point fund money. The STSS Crate 602 Sportsman South Region gets underway on Saturday, March 16 at Georgetown (Del.) Speedway during the Melvin L. Joseph Memorial weekend. Six South Region events are planned, including two additional stops at the Sussex County track on Aug. 27 and Nov. 2. Also on the schedule: Delaware International Speedway in Delmar, Del., on April 30, New Egypt (N.J.) Speedway May 23 and Big Diamond Speedway in Minersville, Pa., June 4. Thunder Mountain Speedway in Center Lisle, N.Y., kicks off the STSS Crate 602 Sportsman North Region on Sunday, May 26. 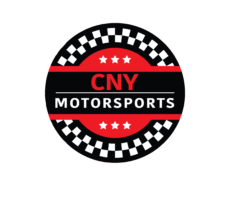 Other series events include Big Diamond June 4 (a combination North-South event), Fonda (N.Y.) Speedway July 3, Accord (N.Y.) Speedway July 9, Woodhull (N.Y.) Raceway Aug. 13 and Afton (N.Y.) Motorsports Park Oct. 12. Corey Cormier of Otisville, N.Y., is the defending STSS Crate 602 Sportsman South Region champion, while Lansing, N.Y., native Tom Collins Jr. took the North Region crown.